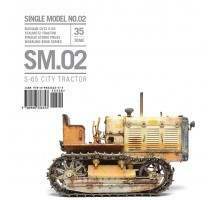 SM.02 S-65 City Tractor features a civilian-based project created from the excellent 1/35 Trumpeter Stalinetz S-65 Russian Army tractor kit, with a finish that is designed to explore other realms of possibilities. 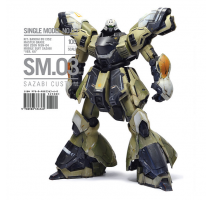 This model ..
SM.03 SAZABI CUSTOM features a big badass robot project from the amazing world of Gundam mecha -- 1/100 Bandai MG Sazabi Ver Ka kit built with minor modifications, and given a special one-of-a-kind RSP custom paint job. 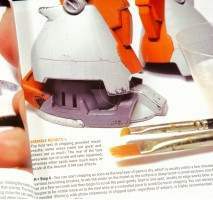 The realistic painti.. 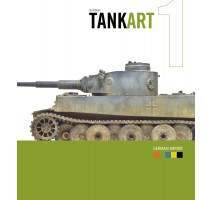 The 3rd Edition of TANKART 1 German Armor book is printed in our standardized TA format of 8.5" x 9.5", expanded with 2 additional model chapters to 288-pages in length. 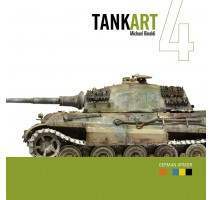 Each book is wrapped in a matt laminated cover stock with th..
TANKART 4 German Armor is the second TA book covering this very popular subject, WWII German Armor. This 2nd Edition printing expands by 64-pagesusing the existing material to provide greater coverage over the previous edition. Each chapter..